On January 17, 2013, a hooded assailant hurled acid into the face of the artistic director of the Bolshoi Ballet, making international headlines. A lead soloist, enraged by institutional power struggles, later confessed to masterminding the crime. The scandal, though shocking, is not an anomaly in the turbulent and tormented yet magnificent history of the Bolshoi. 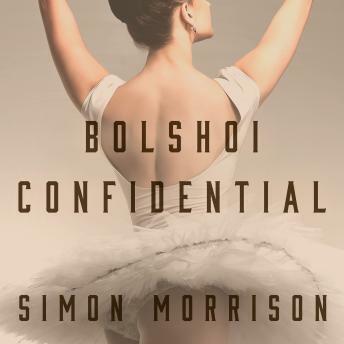 Renowned music historian Simon Morrison reveals the ballet as a crucible of art and politics, beginning with the disreputable inception of the theater in 1776 and proceeding through the era of imperial rule, the chaos of revolution, the oppressive Soviet years, and the recent $680 million renovation project. Drawing on exclusive archival research, Morrison creates a richly detailed tableau of the centuries-long war between world-class art and life-threatening politics that has defined this storied institution. As Morrison makes clear, as Russia goes, so goes the Bolshoi Ballet.